007814096X –Criminology provides an in depth study of criminology in the twenty-first century in a clear, straight-forward manner, making this the most accessible offering on the market. The 9th Edition opens with an overview of criminology and its meaning and goes on to discuss the world of crime, types of crime, criminal behavior, and the criminal justice system. 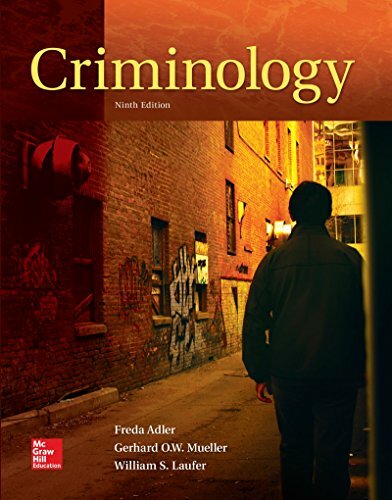 Adler gives a comprehensive overview of today’s issues in criminology, affording students a thorough understanding of this complex subject matter. The Connect course for this offering includes SmartBook, an adaptive reading and study experience which guides students to master, recall, and apply key concepts while providing automatically-graded assessments.